As a primarily UK-based triathlon resource, the detailed set up of a high performance National Governing Body coaching structure on the other side of the world isn't necessarily a regular topic of discussion and comment on these pages - but when this press release arrived from Triathlon Australia today, in this Editor's opinion, it is worthy of note. Just a month into his new role - after the resignation of previous Performance Director, Bernard Savage - newly appointed Ben Gathercole has announced some significant changes to the performance landscape in Australian triathlon. To some degree, expectations in Australia are high (possibly unrealistically? ), as a result of their historic success in the sport. Taking the women first, from 1992 through to 2010, Australia won the ITU World Championship title 13 times in 19 years through the likes of Michellie Jones, Jackie Gallagher, Loretta Harrop, Nicole Hackett, Emma Carney, Emma Snowsill and Emma Moffatt - while Rio was the first time that the Australian women didn't win at least one medal at the Olympic Games. Emma Snowsill was Olympic Champion in 2008 - and many would strongly suggest that Michellie Jones should be the rightful owner of the Gold medal from Sydney too. The depth and historic success of Australian men's triathlon casts a shadow on the current squad too, courtesy of legends like Greg Welch, Miles Stewart, Brad Bevan, Chris McCormack, Peter Robertson and Brad Kahlefeldt. However, the last six year-end podiums in the World Triathlon Series have been totally dominated by European athletes (Brownlee, Brownlee, Gomez and Mola mostly...), while 2010 was also the last World Championship podium finish by their Australian women too. Their solution? Employ the services (and perhaps mostly importantly, squad environment) of the coach of the current women's Olympic Champion and appoint as a special advisor one of the most successful coaches in the history of the World Triathlon Series (and coach to the London 2012 Silver medallist), amongst other changes. Both Jamie Turner ("Wollongong Wizards") and Darren Smith ("D-Squad") have a proven history of delivering success from their international, independent squad structures. Triathlon Australia look like they want to tap into that success - this time, in favour of the green and gold rather than stars and stripes. With Darren Smith taking a sabbatical from his 10 years of day-to-day D-Squad coaching, tapping into his knowledge and experience on a consultancy basis is surely a very smart move. Below is the full press release from Triathlon Austrlalia. Triathlon Australia has today unveiled an exiting, ground-breaking re-structure of its High Performance program, aimed at maximising its coaching and athlete talent in the build-up to 2020 and beyond. Just one month into his new role, newly appointed Performance Director Ben Gathercole, has wasted no time implementing the appointments of Jamie Tuner, Dan Atkins, Chris Lang and Darren Smith to capitalise on what he says is an exciting new era for the sport. Triathlon Australia CEO Miles Stewart, says he is both delighted and excited with the progress and appointments made, which is a major part of TA’s strategic HP pathway plans. “We have made it quite clear that we will strive to enhance coach development pathways which integrates with the whole of life pathway through the sport alongside an exclusive high performance pathway for athletes as we continue to strive for the world’s best daily performance environments,” Stewart said. An International Performance Centre, Wollongong (IPCW): Under the direction of highly respected New Zealand-born Australian coach Jaime Turner, regarded as the world’s finest triathlon coach. Turner coached American Gwen Jorgensen to this year’s Olympic gold in Rio and put both Aaron Royle and Ryan Bailie onto their first Australian Olympic team. Turner will be at the helm of Triathlon Australia’s flagship program in Wollongong and Vitoria, Spain where he will continue to build on the exceptional performances of his Rio and World Triathlon Series campaigns. His highly regarded international program has seen much success over the last few years consisting of eight Australian and four international athletes and that philosophy will continue with the valued support of the AIS and the NSW Institute of Sport, Jaime will be based in Wollongong which has been a successful base in Australia. The first National Performance Centre in Brisbane (NPCB) with highly respected coach Chris Lang appointed to head up the new role that incorporates the previous QAS program. Lang will be joining TA from his successful Sheldon College program in South East Queensland after a seven-year post as Triathlon Australia’s High Performance coach on the Gold Coast between 2004 and 2011 and a 12-month stint in WA as National Talent Coach. His main focus will be on U23 athletes at the ITU level but will also incorporate Paratriathletes into his program and will be based in and around the Brisbane area, still with the unflagging support of the QAS, helping to develop our U23 athletes to world class levels with the ability to feed into our IPC program. Lang’s previous role as head coach at Triathlon Australia’s first schools triathlon program at Sheldon College will be advertised in the new year with the view of the best candidate starting in February 2017. And following the success of Australia’s ground-breaking Paratriathlete Program Triathlon Australia is again forging world’s best practice with an exciting new integrated National Paratriathlon and Elite U23 Development Program to be led by the previous National Training Centre head coach Dan Atkins, on the Gold Coast. It will bring Australia’s leading paratriathletes and U23 athletes together in the one training environment providing great support and challenge amongst the group, for all athletes to learn and push each other beyond their limits. Atkins will become Head Coach of the National Paratriathlon program while also developing Australia’s Elite U23 athletes in the one daily training environment. And in another major bonus for the HP program is the appointment of another highly respected Australian international coach in Darren Smith as Triathlon Australia’s HP Special Advisor. Triathlon Australia Special Adviser role: Darren Smith has agreed to provide his time for some short periods while he takes a sabbatical year from his day-to-day coaching regime. Darren will be available to mentor and help TA’s coaches and also provide some long term planning and advice to the HP program. 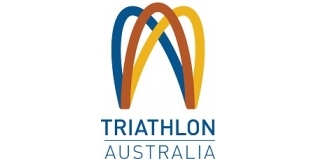 Gathercole said: “To have Jaime Turner as our lead coach and in charge of our flagship program is a great position for Triathlon Australia to be in. “In partnership with the AIS and support from NSWIS, we have been able to secure Jaime's coaching services through to Tokyo 2020 which provides our athletes with stability and the knowledge we have the worlds best coach. “And in a move clearly aimed at developing our coaching stocks, in partnership with the QAS, we are proud to have Chris Lang as our new coach for the NPC Brisbane. “Chris has been building towards a senior coaching job after first starting as an assistant coach to former National Head Coach Bill Davoren in the early 2000s and has had numerous roles building to this appointment. It is great to see we have a pathway for young coaches who have the ability to build a career from coaching. “And in one of the most exciting announcements we are incorporating our elite Paratri program with our elite able body program - one of the few fully integrated National programs in world triathlon. “We have named Dan Atkins in this role and he is excited about the opportunity to combine both programs and create a daily training environment second to none. “With Atkins leadership in this space we believe we can build on our Gold medal performance from Rio and continue to provide the very best for all of our athletes in this HP integrated program. “This is an exciting step into the future for our sport, with an exceptional coach bringing two training environments together as one. “We believe it will encourage an even higher level of training and racing than an individual program provides. This program will be based on the Gold Coast with the hub of training occurring out of Bond University.